Thorvald Blough is a baritone from Los Angeles, California. He studied singing in Santa Barbara, where he discovered his passion for Bach. In his last year at university, Thor was diagnosed with testicular cancer and, as part of his healing, found solace in Bach's music. To spread awareness about his illness, he organized a benefit concert with a program of Bach, concluding with Cantata No. 82, "Ich habe genug". The money raised was given to his oncologist, Tanya Dorff, to help her further her research into the disease. Thor is honored to be singing this awesome cantata again at the Arcadia Festival this year, along with some of his favourite spirituals and one of Bach’s rare forays into comedy. 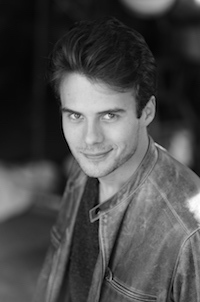 Based in London since 2015, Thor trained at RADA and now studies privately with Gary Coward and Nuccia Focile. He recently sang Papageno in Cavatina Opera's production of Mozart’s The Magic Flute and Ramiro in Ravel's L'heure espagnole with Opera Alegría at the Grimeborn Festival. Last year he sang Masetto in Don Giovanni and Zuàne in La Gioconda for Midsummer Opera, Sid in Benjamin Britten’s Albert Herring at Piggott’s Music Camp, as well as Sacristan in Puccini’s Tosca for Athenaeum Opera. For the past four summers, Thor has sung with the Opera Holland Park Chorus and has just finished appearing in British Youth Opera's production of Stravinsky’s The Rake's Progress. Future plans include his first performance of Schubert’s song-cycle Winterreise and The Pirate King in Gilbert and Sullivan’s The Pirates of Penzance.